How to create a Responsive Video Slider in WordPress? Did you ever plan to add a Video slider to your WordPress site? Video sliders are a great way to engage with visitors on your site. They help make your website even more appealing and interactive. At the same time, they need to be responsive, so that they look perfect across all devices. While there are of plugins available to create a responsive WordPress slider in WordPress, SlideDeck provides one of the most convenient and quickest ways to create a responsive video slider. In this tutorial, we will explain to you how to create a responsive video slider in WordPress using SlideDeck. 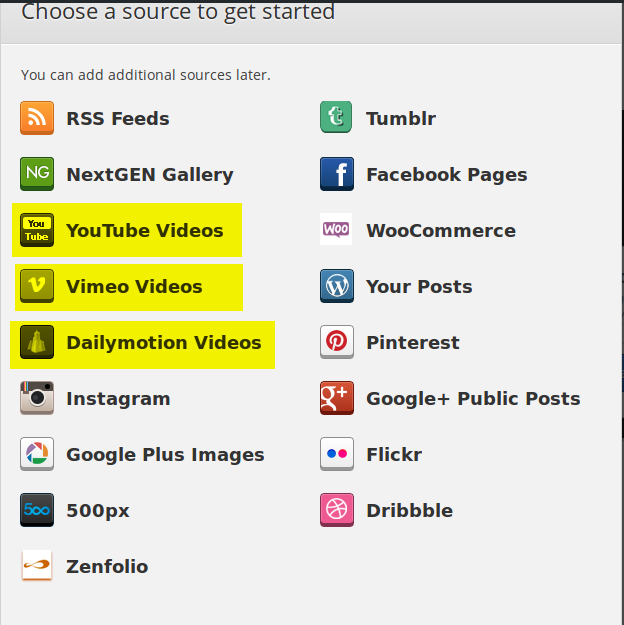 SlideDeck can play YouTube, Vimeo and Dailymotion Videos inside the slider. 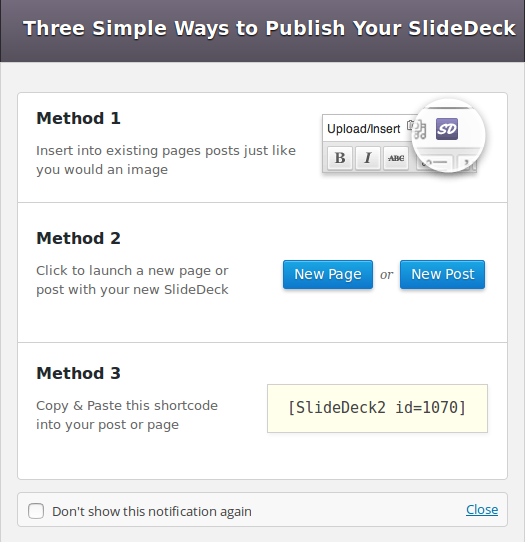 Finally, it is time to add your slider to a post or page. As soon as you click on Save SlideDeck Button, you will get the options to insert the slider into the post/page. Select the Method of your choice . You are all set with your video slider. Publish it on your site to make it more appealing and interactive. 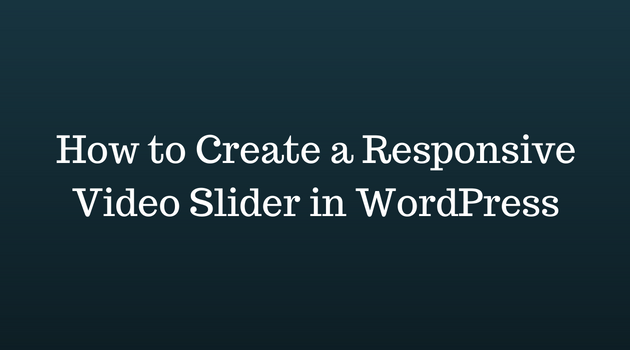 We hope this tutorial helped you create a responsive video slider for your WordPress site. If you have any questions or feedback, please let me know in the comments. Also, check out our blog on creating a Google plus image slider in WordPress.